Online Marketing Consulting... All You Needed Was A Simple Answer?! Home/Uncategorized / Online Marketing Consulting… All You Needed Was A Simple Answer?! That was what I said to our new client sitting across the room. They had hired us for a consulting project to figure out why they were not selling enough event tickets for one of their new events. They were relying almost completely on digital marketing. They were already doing various forms of social media marketing and advertising. And they weren’t collecting any data… All they had was a monthly report from another division in their company about how many clicks they had on the part of the companies website that was about the new event series. They didn’t know where their visitors came from, they weren’t able to track visitors from their advertising activities while they were doing it, they weren’t able to work with landing pages at all (they weren’t allowed to touch anything website related at all…). As a consultant, what do you do in a situation like this? You give a lot of advice on what can be done, or what could be done. You give advice on the tools that they should be using. You make assumptions about what they might find out when they would implement them. You explain why this is important. You try to give them arguments for their interior corporate discussions. You need data, you need to examine the data and the only way to optimize your online marketing processes is to do just that. Here are the tools you need right now to measure the data you need. Here is the data you need to examine first. Come back when you have data and are stuck in optimization. The next step when they are stuck. A piece of data they failed to see the importance of. A hypothesis they can test. A tool they can use. In modern online marketing, you are walking on a path that is often invisible – and you need to identify the next step. We lead him through a jungle of very small steps, helped him prioritize the right steps and identify which marketing measures proved to be useful to him. Identifying the invisible stones your path is made of is what modern marketing is made of, and it is where most modern marketers fail. Modern online marketing is totally different to traditional marketing because it relies on those little steps. To be successful, modern marketing has to be a constant process of developing assumptions, testing these assumptions, gathering data and adapting. This is called lean marketing. The lean startup cycle. 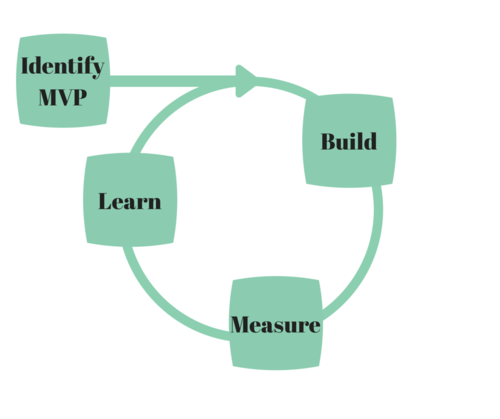 A similar build measure learn cycle has to be adopted for a modern marketing environment. With modern online marketing strategies, there is no point in developing a “strategy” for more than a couple of days or maybe weeks at a time. In many situations, assumptions can be tested and adapted within the course of hours. With real-time data through social media channels, advertising that costs you money with every click, and modern strategies like AB testing that rely on constant optimization, “strategies” won’t help you, processes will. Many elements of modern marketing are neither complicated nor hard to implement once you know about them – but the sheer amount of elements and the lack of expertise and experience about which strategies make sense in which situation still require the help of an expert. This is also where classic consultants often fail. Not because they don’t have the expertise to help you. They fail because they focus on delivering massive amounts of intelligence at a specific point in time – without having the data to support this long-term plan. The reason is, of course, obvious: Selling a long term project is far more profitable for the consultant than selling a 2-hour coaching session that focuses on identifying pitfalls that are hindering your business right now. But what good is that long-term plan for you, if you didn’t even have the data you needed to begin with? This also leads to a situation where high-quality modern marketing expertise is only available to companies willing to pay for long online marketing consulting projects. Marketing consultants will fail when they don’t focus on the current situation and the steps to take right now but on long term plans? Why Do You Need Online Marketing Consulting At All? Quite recently we had a call with a friend who had just started her new startup. She called us up and asked for help regarding online lead generation. Being a friend of ours, and this not being her first tech-oriented startup, she knew all the basics. She was running her business Twitter account, she knew what AB testing is, she already had basic traffic to her website. What she was failing at was converting website visitors to leads with the outlook of setting up a sales funnel to convert these leads into customers in the future. Within little more than an hour, we were able to explain how email marketing works, which tools and techniques she could use to turn website visitors into email subscribers, recommend an email marketing tool, explain how to set up basic email marketing automation, and how to measure the results. There wasn’t anything more to be done at that point in time. But the important thing was that this hour of our time allowed her to take the next step in her marketing journey – and the next step in the development of her business. All achieved in the time that consultants usually don’t finish an initial consultation before the actual project (which doesn’t give you any actionable insight at all). Right now, online marketing consulting is broken. The expertise is valuable, but only available to those who are able to pay the big money right from the start, which probably doesn’t include you. At the same time, the world seems to be filled with small business coaches who probably won’t deliver the expertise that you really need. I remember a time when I ran my first business, a publishing platform called exploreB2B. We were trying to build our first social media marketing strategy, and we failed. We hadn’t developed the expertise ourselves, we weren’t able to hire the big time consultants we would’ve needed and the web was filled with bad advice that failed to get us any results. Until one day, two small optimizations showed big time effects. One was that we started targeted content marketing, the other was that we started using the Follow-Unfollow-Algorithm on Twitter. While exploreB2B ultimately went bankrupt, to this day we believe that it would have been a huge success if we had been able to pinpoint these optimizations earlier. This is what online marketing consulting can help you with and the value it can deliver. What you need is not a huge consulting project that will deliver a complete online marketing strategy for you to follow in the years to come. You don’t need 100 pages in a word file. An expert with the information that you need. Another set of eyes that will assess your situation and examine it with an unbiased brain. The definition of next steps. 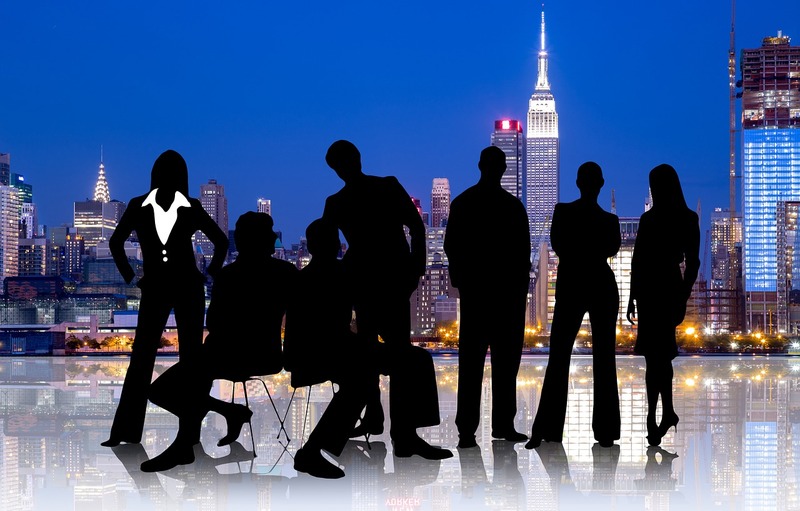 This is more than simple business coaching – because it focuses on expertise and solutions. But it also is not what current online marketing consulting is doing, because it focuses on your current situation and how to progress right now. I’d be lying if I told you that I write this without having my own interest in mind. But hopefully, my interest is your interest as well: Susanna and I are working on a new project that will make this type of consulting expertise available to you. We are dying to tell you more, and we will, very soon!